Need to lightly sand with 400 grit or lighter. 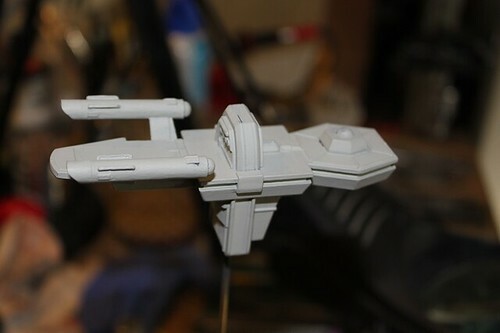 I've found some leftover decal material with panels from what I think was a 1/1000 scale Enterprise D kit so plenty of light grey panels to mix and match. They should work well over the flat gull grey hull. Of course being decals I'll need to gloss coat the hull first.